We’ve seen the best of the best and the worst of the worst when it comes to the way businesses operate and function. We’ve tried to harvest what really works, and when we coach and consult with business owners on how to implement these things, it’s very powerful. Paradigm Solutions has helped many clients of all types and sizes address business challenges, capitalize on opportunities, and achieve success. We would welcome the opportunity to assist you. Sometimes your business just needs a check up. Sometimes your business needs major surgery. When your business needs help, we are able to diagnose the problem(s), issue a helpful or life-saving “prescription” (course of action), and then hold you accountable for taking the medicine. 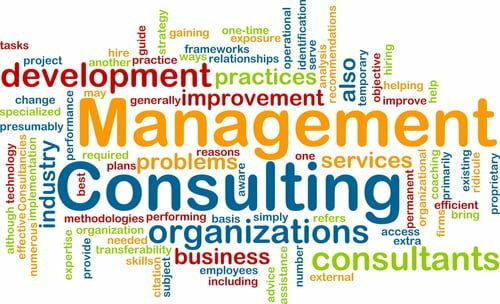 Business Consulting and Coaching – insight and solutions to your daily, short-term, and long-term business issues and challenges. We help you create an organizational structure and processes that meet your customers’ needs and maximize your business’ efficiency and profit. We help you develop the business and marketing strategic plans that make your vision for the future a reality. Organizational Assessment – evaluation of your current staff and your organizational structure to ensure the right people are on your team and in the right positions in the company. We help you ensure that your organization will serve as a valuable tool in meeting your current and future needs and business objectives. Process Review and Improvement – assessment of your current business processes and systems identifies ways to streamline, error proof, and eliminate waste for maximum efficiency and effectiveness. Business / Strategic Planning – development of a practical but comprehensive action-based plan that serves as your clear, detailed guide that constructs your road to success. Marketing Planning – identification of your critical outreach tools and a corresponding plan that enables you to penetrate your target markets and secure a dominant position in the marketplace. SWOT Analysis – a detailed and objective view of the Strengths, Weaknesses, Opportunities and Threats that exist in your business and the competitive marketplace. Project Management — outsource projects to us that you may not have the time or expertise to manage in-house. SWaM (Small, Women-Owned, and/or Minority-Owned) Business Assistance—assistance with your SWaM registration and connection with the many unique business-building resources available to you. Paradigm Solutions’ principals and staff members have a wealth of hands-on corporate experience in small businesses through large international corporations. We have faced the challenges you face. We have explored all of the options and discovered what is successful on a customized basis. Paradigm Solutions looks at each client individually—there is no cookie-cutter or one-size-fits-all approach here. We explore your specific needs and challenges and develop a unique plan for your success that fits into your budget. Please contact us for your complimentary consultation. We would like to meet with you and explore how we can be of service to you and your business! If you would like more information about What We Do, be sure to CONNECT WITH US!